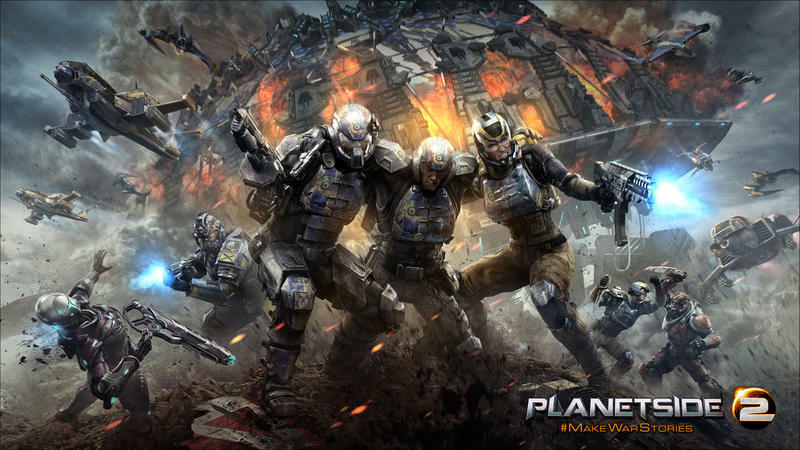 PlanetSide 2 is going to be Sony's marquis free-to-play MMO shooter on the PlayStation 4, and when I say "free-to-play," I mean absolutely and unequivocally mean "free-to-play." Sony Online Entertainment has confirmed that you won't be needing a PlayStation Plus subscription to play this game online. Director Matt Higby made the announcement in a PlayStation Blog post. PlanetSide 2 has already been available for PCs for about a year and a half, and it has gotten plenty of positive praise from its enthusiastic community. PlayStation fans were worried about free online play with PlayStation Plus required to play most PlayStation 4 games online, so hopefully this will clear the air a little bit. Along with the worldwide release expected later this year, Higby also announced new content that will go live with the PlayStation 4 launch. One of the best things about working on a game like PlanetSide 2 is that it's a living, evolving game that's constantly being updated and improved upon. In addition to work being done for PS4, the team is working on a lot of content and game systems enhancements to the live game. Some of the biggest features we're excited to deliver in the next few months are: Hossin, our fourth full 64sqkm continent, an advanced achievement system called Directives, player-driven continent conquest/locking, and expansions to our game's Outfits systems. Any PlanetSide 2 fans excited to play this on the PlayStation 4? I played the first one many years ago for a little while and saw potential for a bigger and better game tucked away inside. Maybe Sony Online Entertainment has finally fully realized its vision. We'll have a chance to find out when it launches worldwide later this year.